Well, it's really not an envelope, but a post card. 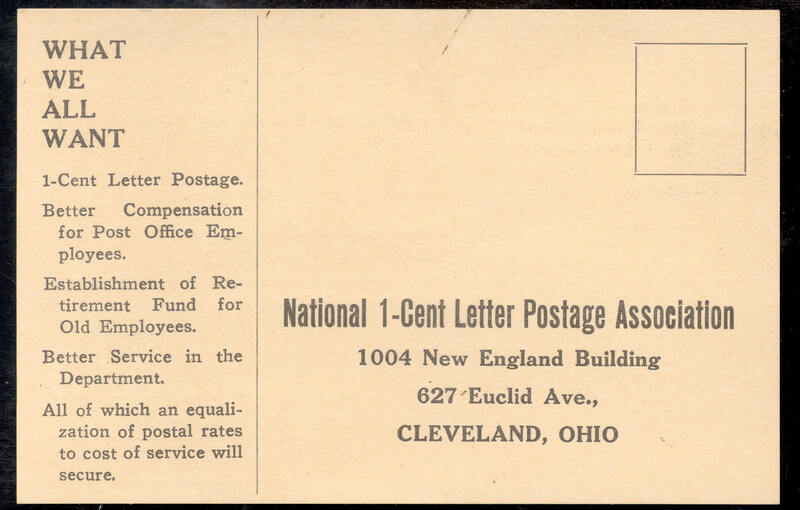 The front of this reply card to the Association seems pretty drab and uninteresting. But the back of the card holds a treasure for collectors of US Dummy/Testing materials. The coil stamps were made for use in Multipost Stamp Affixing Machines. Many collectors of US Dummy/Testing materials eagerly collect examples of the test stamps made for the Multipost Stamp Affixers and some of us even collect examples of the affixers themselves. 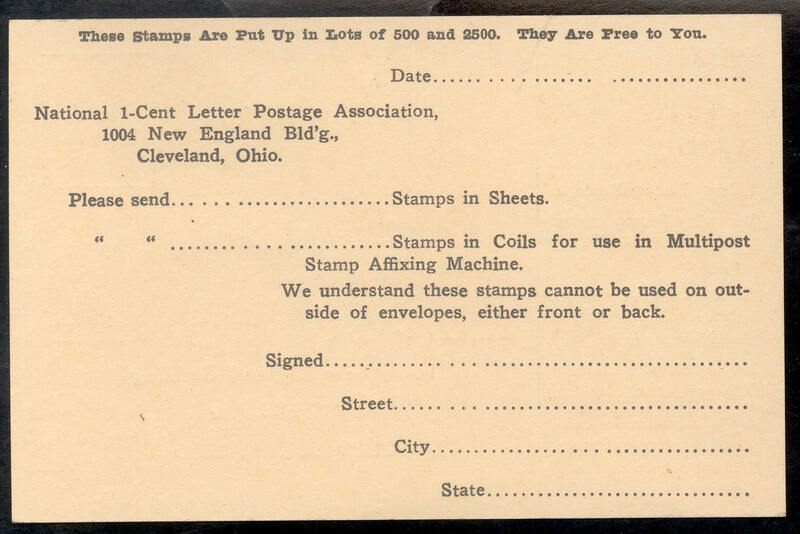 My earliest outgoing envelope has a dumb 1913 Cleveland Ohio postmark. The logo is similar to the image on the pin back shown on the materials' page. The reverse has no printing. The 1916 envelope depicts a seal similar to a Type II seal. The short year and a half increase (November 2, 1917 to June 30, 1919) in First Class postage to 3¢ brought forth the "2/3 Your Letter Postage is a Tax" as shown on this 1919 envelope. 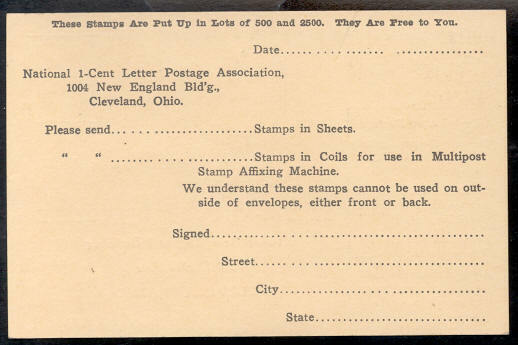 This 1920 outgoing envelope from the Association reverts back to the more familiar motto of "Half Your Letter Postage is a Tax". I would appreciate any information you might be able to share about the Association and it activities. Click on the links below or those on the top of the page for further information.